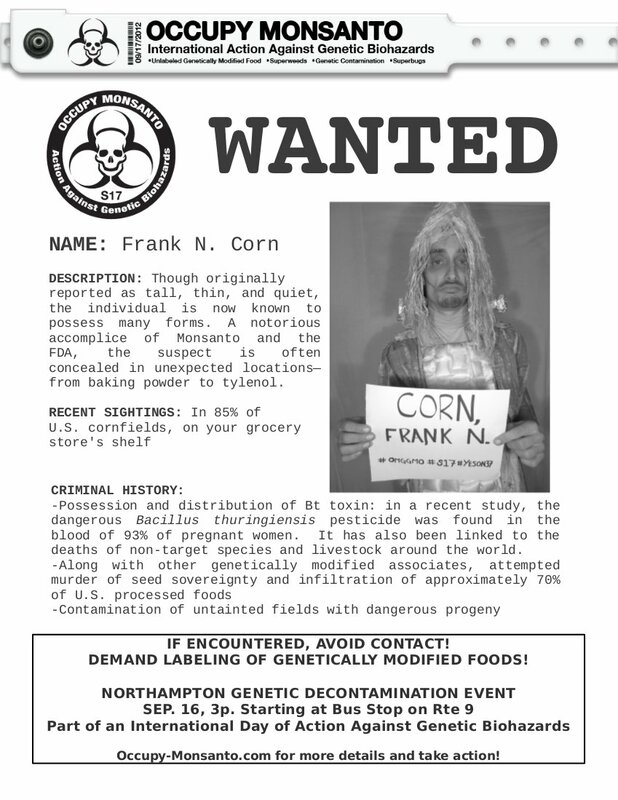 On September 16, 2012, the Northampton Genetic Crimes Unit staged a Decontamination Event in downtown Northampton, Massachusetts. They were able to track down the elusive Frank N. Corn and while doing so they made this awesome music video. Click here to read more about this action or click here to view some photos of the GCU at Expo West.